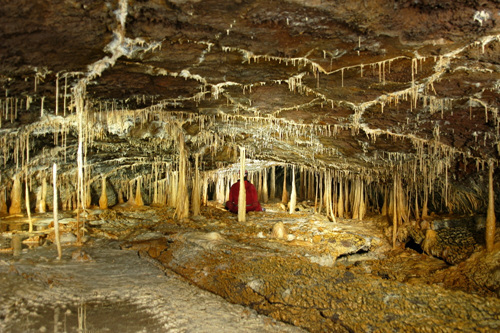 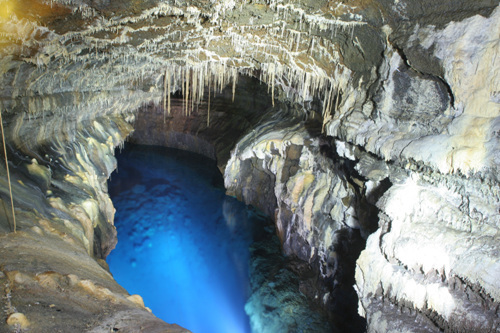 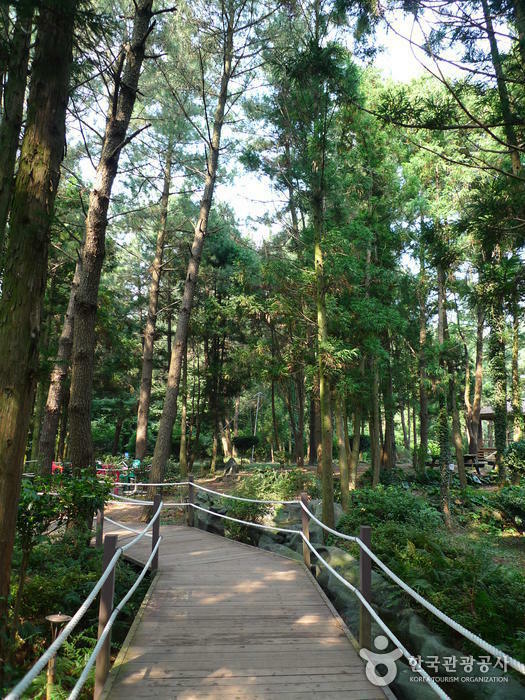 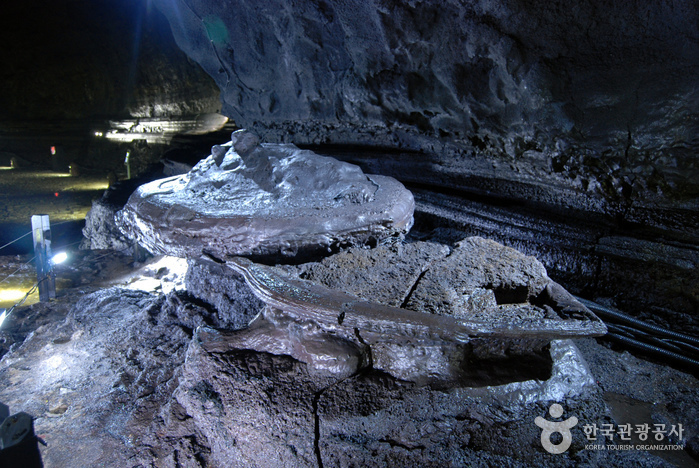 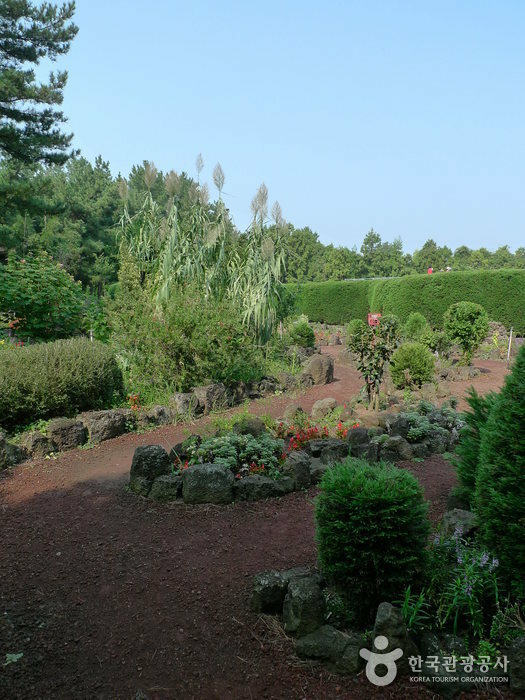 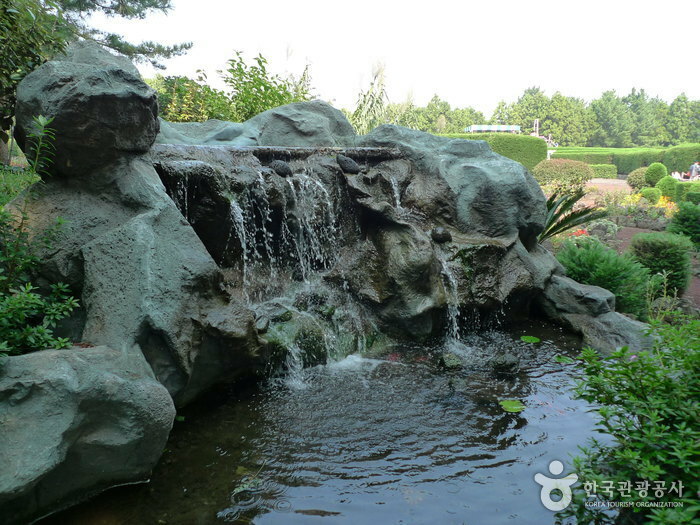 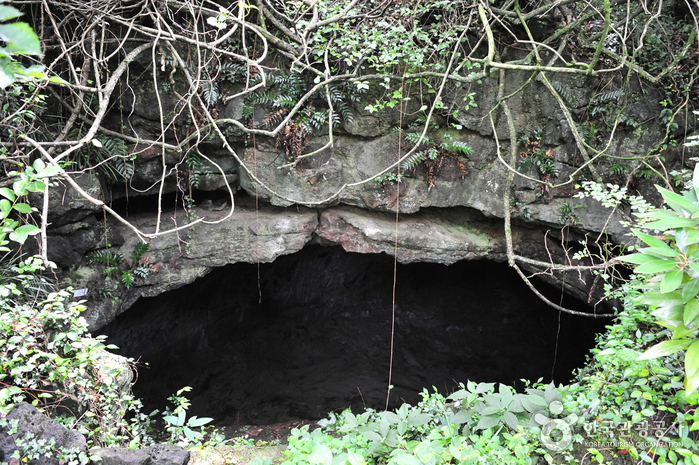 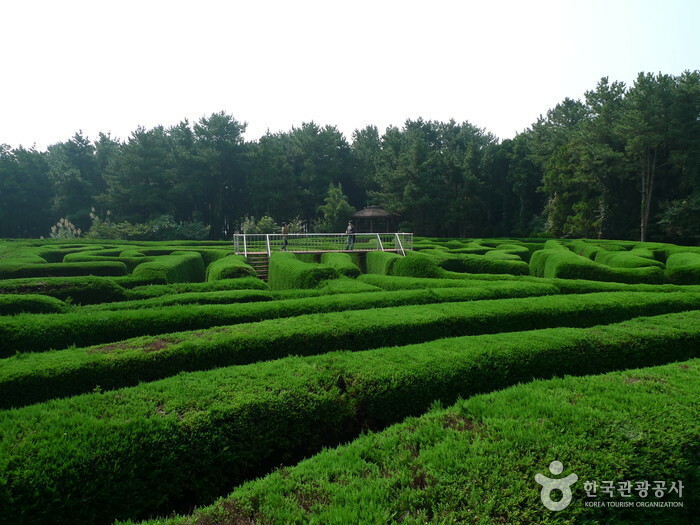 Gimnyeong Maze Park is located between the two major tourist destinations of Manjanggul Cave and Gimnyeongsagul Cave. 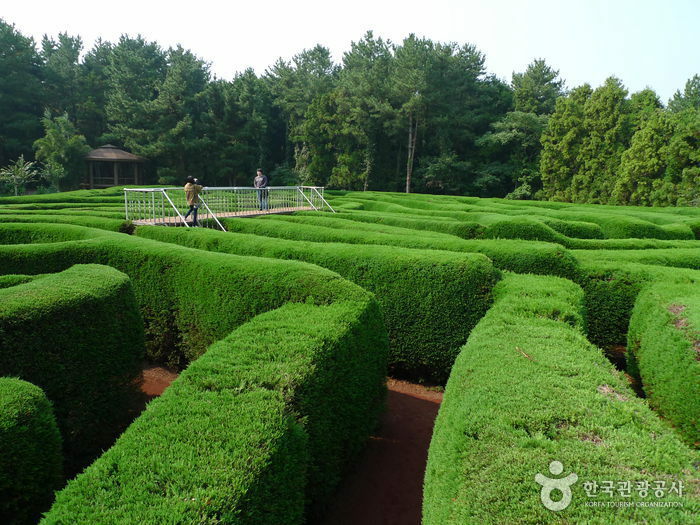 It was designed by the world famous company Adrian Fisher Minotaur Maze Designs and funded by the life-time savings of an American Professor at Cheju National University, Frederic H. Dustin, whose love for Jeju has kept him on the island for 27 years. 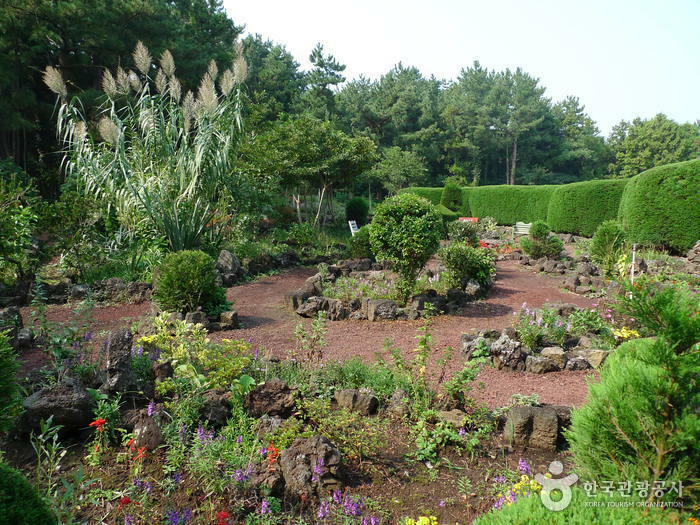 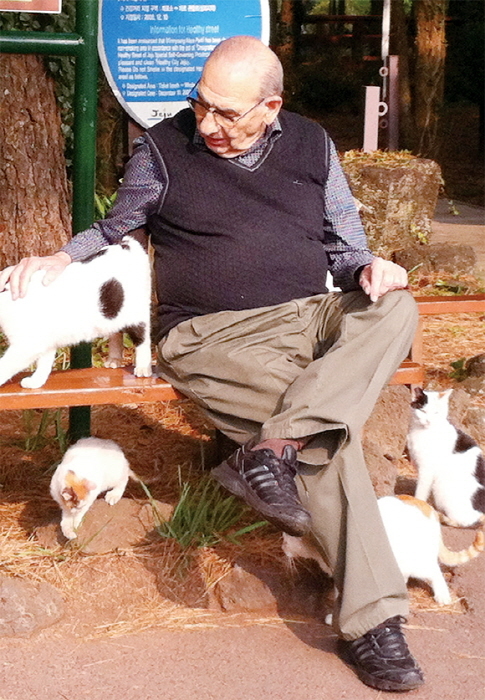 This unique maze park contains plants from all over Asia and has been personally maintained by Dr Dunstan since 1987. 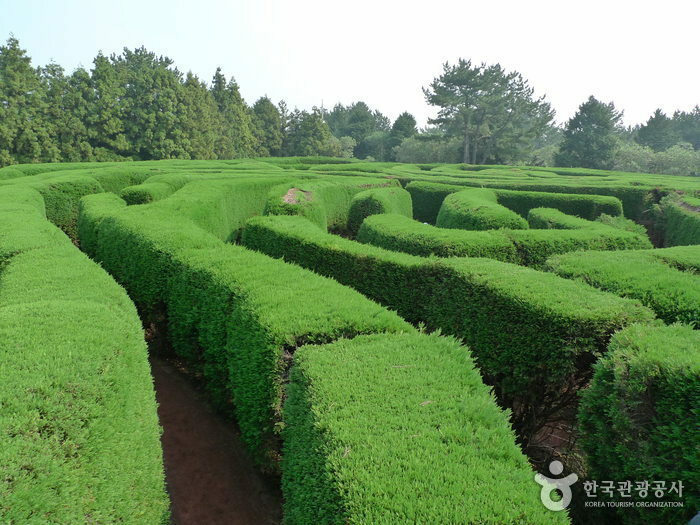 Gimnyeong Maze Park contains a maze that has various images incorporated in it. 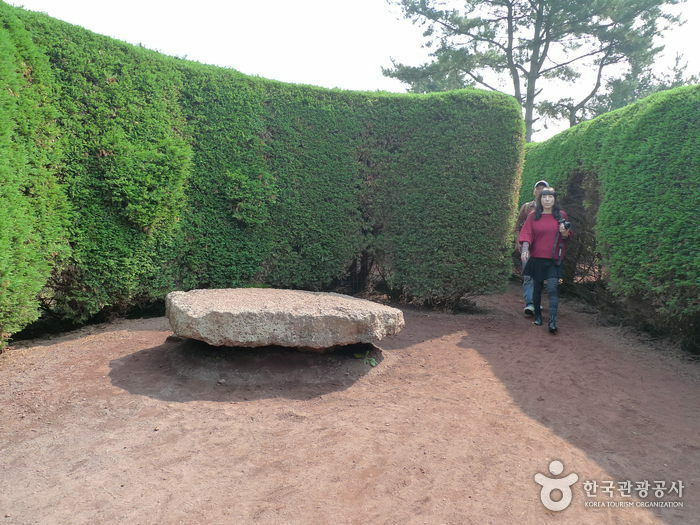 The maze is in the shape of the Jeju Island, and its images that can be clearly seen from above include the following: a serpent, which was an object of worship on the island until the mid-70s; horses of Jeju Island, which were brought there by Mongolians as far back as 1276; the ship, Sparrowhawk, that was shipwrecked on the island in 1653 bringing Hendrick Hamel and his company of Dutch sailors to the Joseon Kingdom; and dolmens that are relics from the Bronze Age. 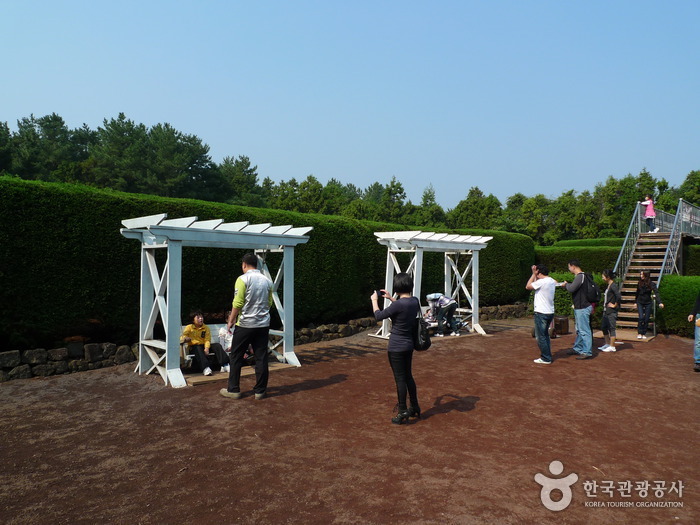 All of these images are famous symbols or landmarks of Jeju Island. 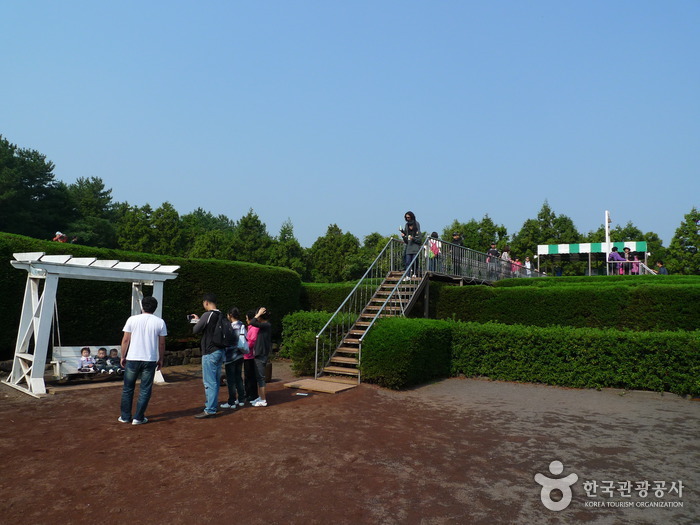 There are three skywalks and an observatory, which are popular photo sites for tourists. 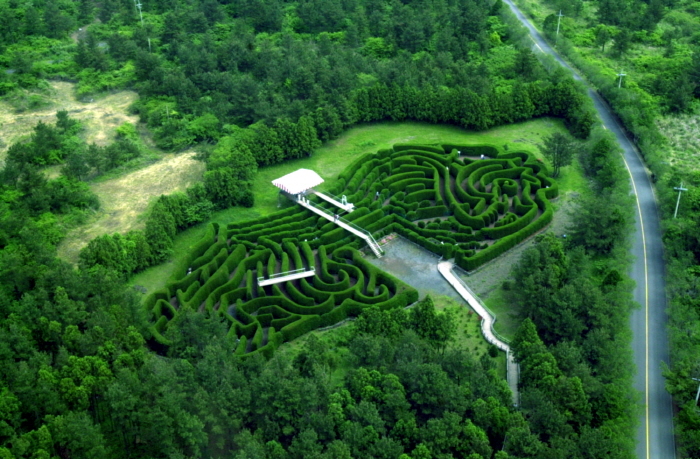 They offer panoramic views of the entire maze. 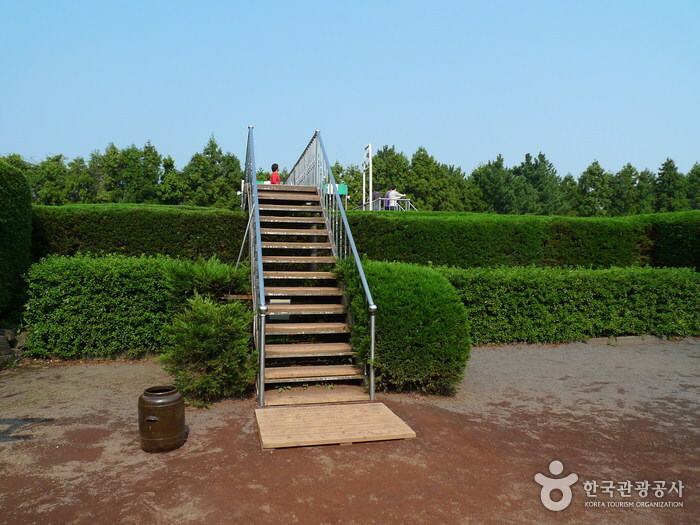 There are four ways to get through the maze from the entrance. 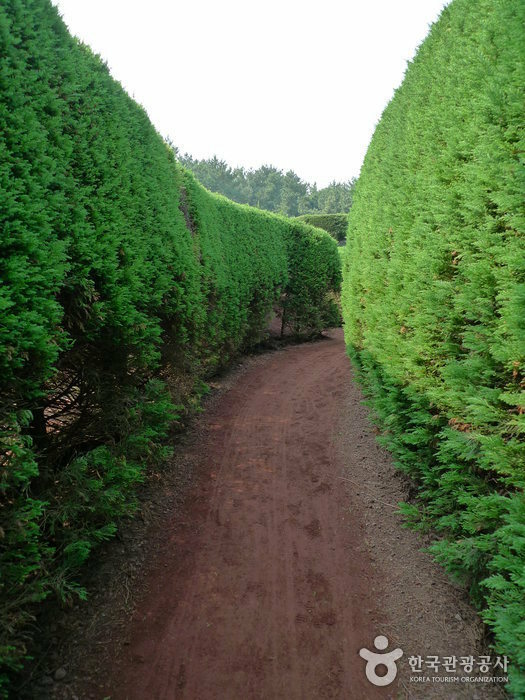 If you use a map, it will take only 5 minutes, but without a map it’s a bit more difficult and can take up to 20 minutes. 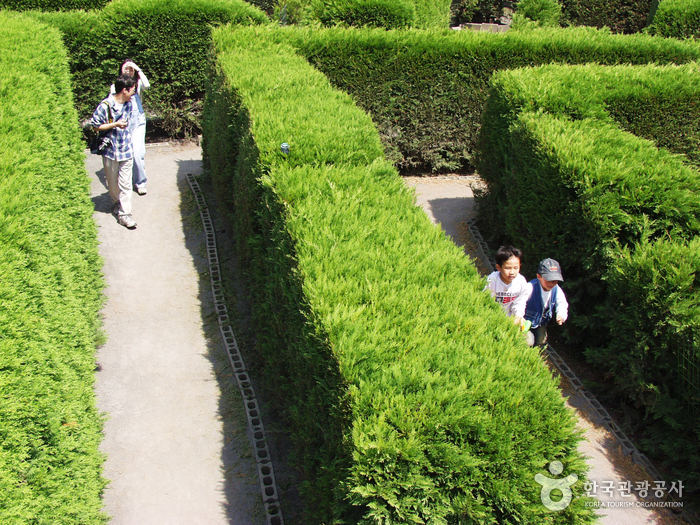 Some visitors have been known to spend up to 50 minutes lost in the maze before giving up and calling for help! 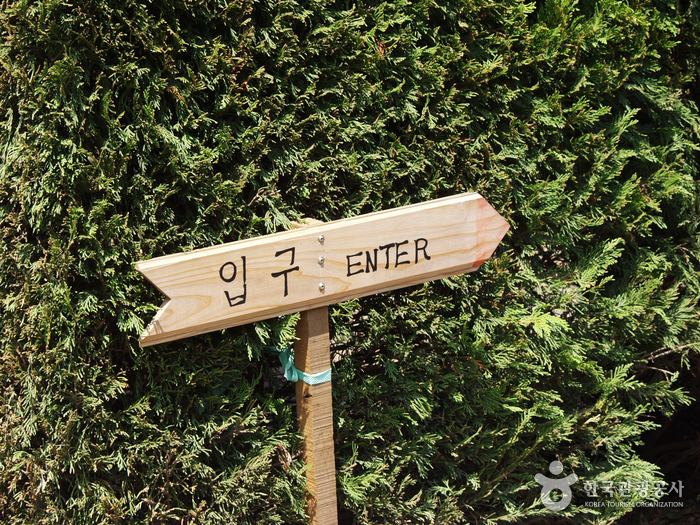 * Last admission at 18:00. 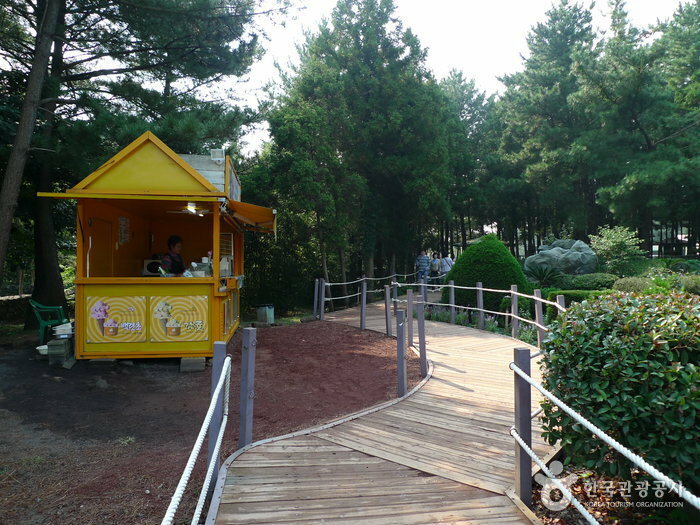 Gift shops, Ice cream shop, etc. 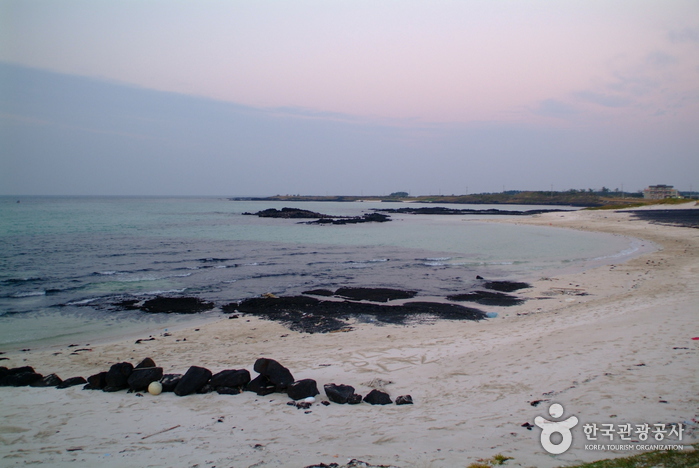 From Jeju International Airport take bus No. 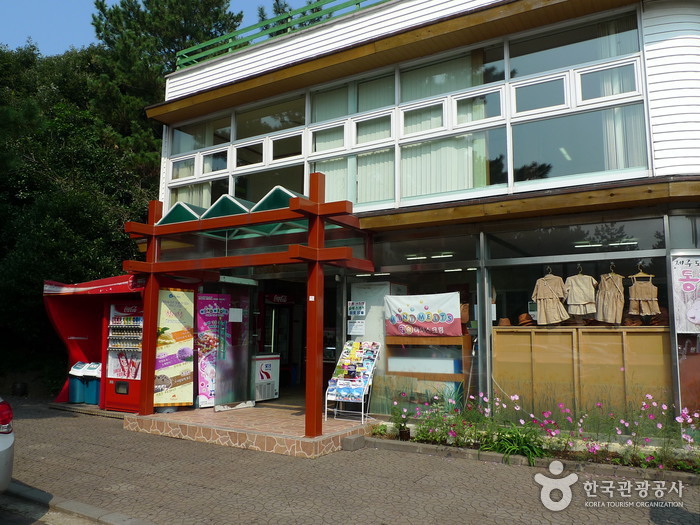 100 and get off at the Intercity Bus Terminal (제주시외버스터미널). 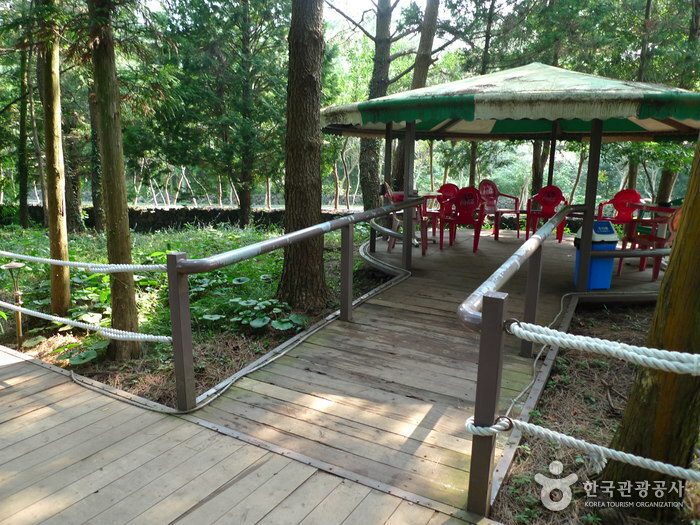 Then take a bus for Manjanggul Cave (만장굴행) and get off at the parking lot by the cave entrance (만장굴 입구). 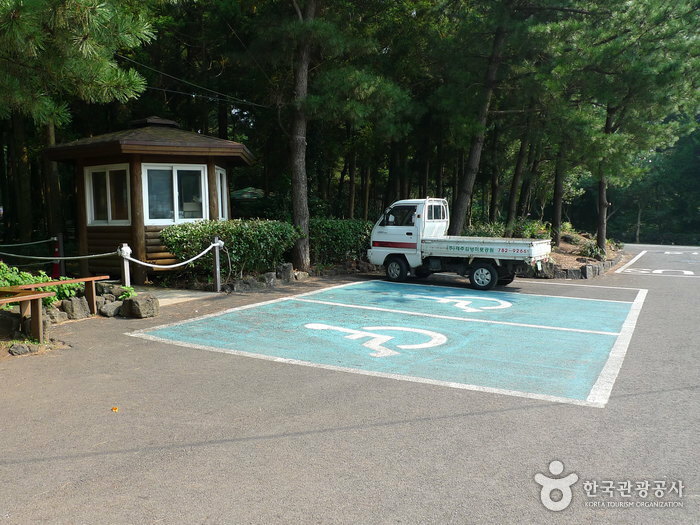 The trip will normally take 50 minutes. 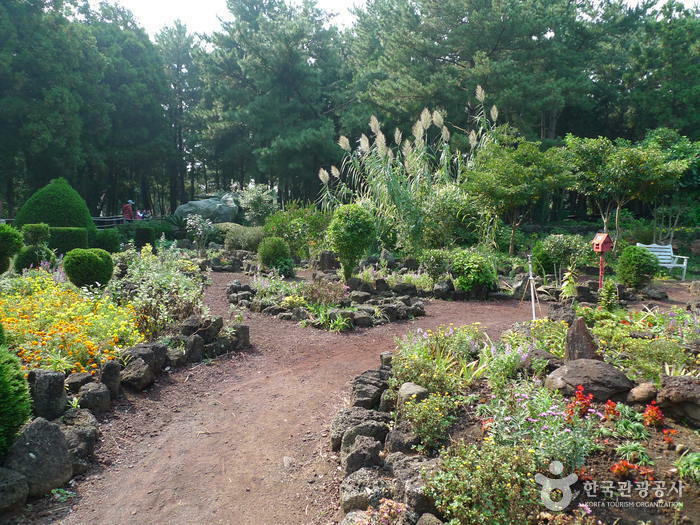 From Jeju International Airport take bus No. 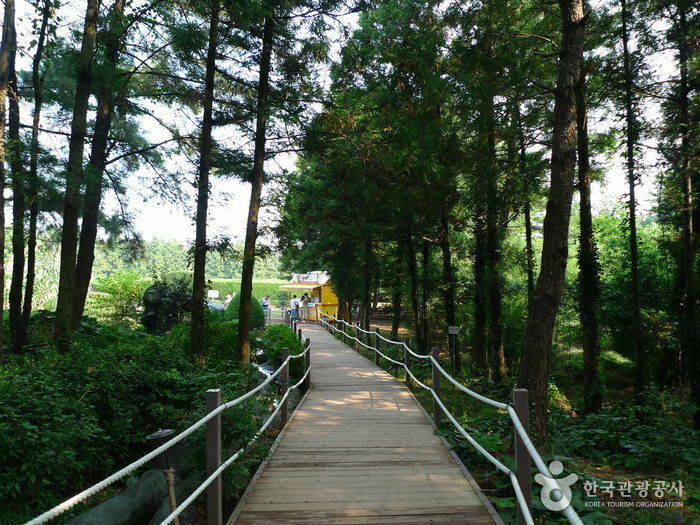 38 and get off at hamdeok-ri (함덕리). 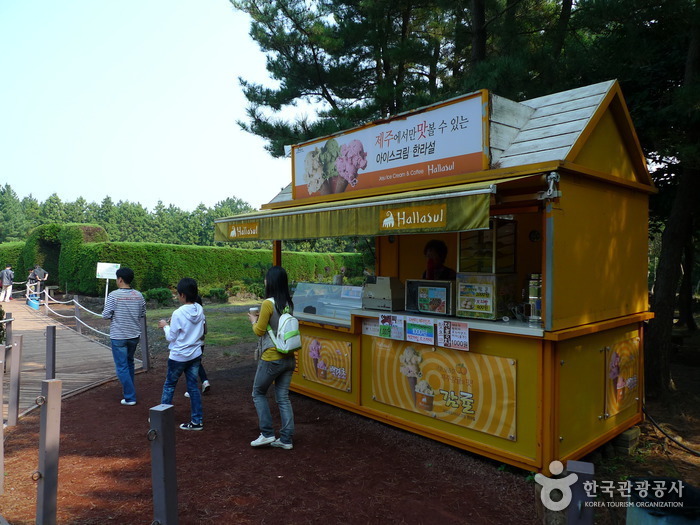 Take a bus for the East Coast (Dongilju 동일주) or catch the Eup-myeon Circulation Bus (읍면순환 버스) and get off at the parking lot in front of the Manjanggul Cave (만장굴입구). 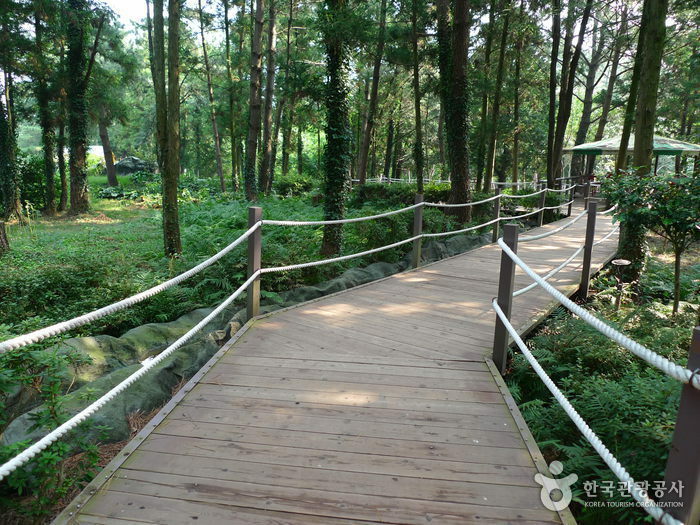 Walk along the old road leading to the cave for 15 minutes.